the dirt with no effect on road manners in my experience. 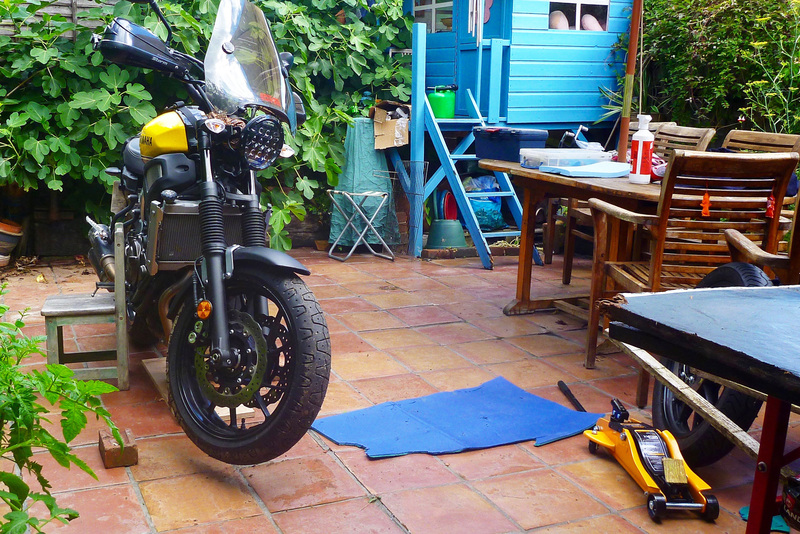 In fact, I’m such a fan of 19s, the largely overlooked GS500R Overlander, (left) – my original ‘adventure twin’ experiment from a few years back – had 19s on both ends to simplify tyre interchangeability. The simplest solution? 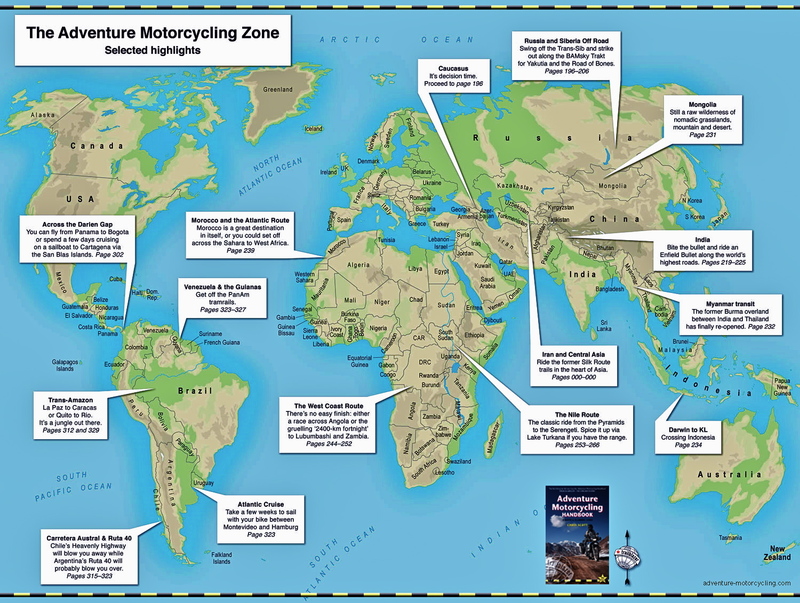 Scoot over to Borrani’s web page and fill out your specs. Problemo: they only make 17s and they’ll only sell you a built wheel (right), so that’s €1550, before you dismantle the wheel and lace up your 19er rim. No, they won’t just sell you their hub (well not to me at least). Kimeo will do you a tubeless 17-er for about the same price. Afaik, those two are the only game in town. Fitting a wheel or a hub from something else obviously brings up alignment issues, but if you persevere it should work out less than a Borrani or Kimeo. If your project bike has spoke hubs, it’s easy to dismantle or chop off the rim and respoke it with anything you like, as I did with my very first XT500 desert bike in 1981 (right) – a 19er front for easier ‘one-size-fits-all’ inner tube swaps. It paid off in the desert. 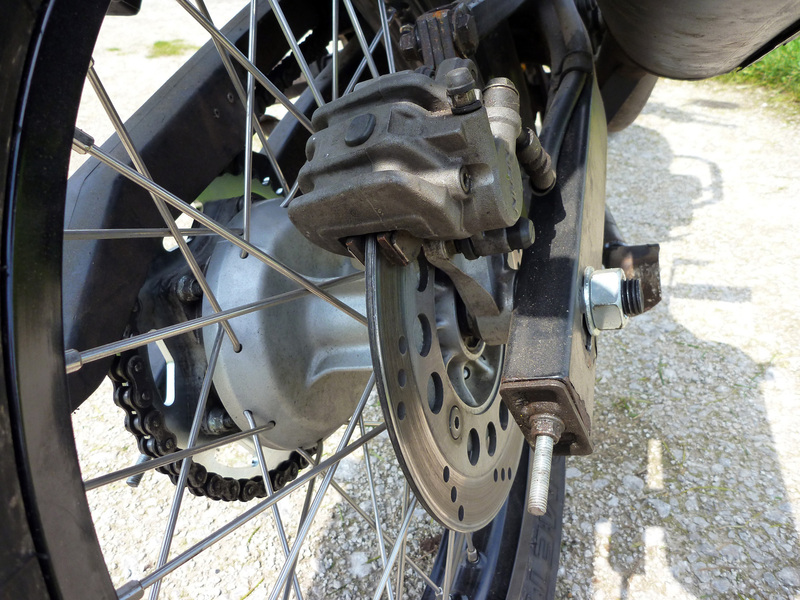 A dapt a spoke hub to fit your bike, as I did on with a DR650 hub on the rear of my GS500R (right). Brake and sprocket alignments made this all quite complex. 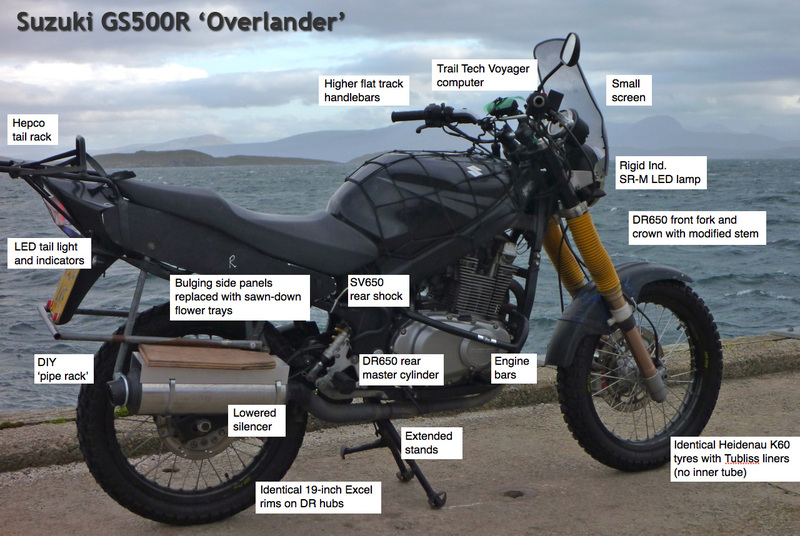 For XSR ideas, see below. Fit an entire front end (wheel; brake; forks; triple clamp) as on the front of the GS500R (left) using DR650 components. A full front-end transplant is actually easiest because all wheel/rotor/fork alignments are retained. All you need is probably an adapted stem and head bearings to match the stem with the frame’s headstock. Easy apart from the clocks and lamp mounts. 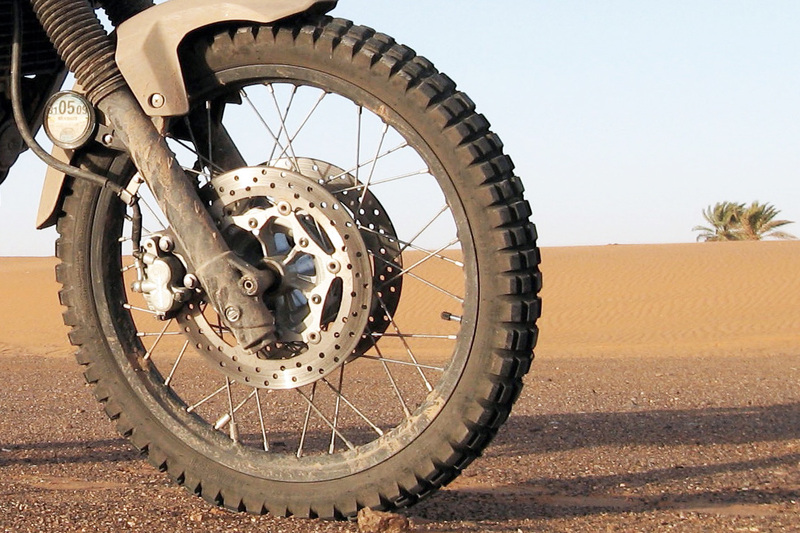 Get a spoke hub milled up from scratch as Rally Raid do for their CB500X RR. (Their rear wheel weighs 2kg more than OE, but is probably much stronger). But, unless you have a CNC-savvy chum with a £40,000 3-axis mill, this is expensive and hard to pull off. Everyone I contacted who initially replied, stopped responding once I spelled out my request. If you have cast wheels, track down a 19er cast wheel that’ll fit. 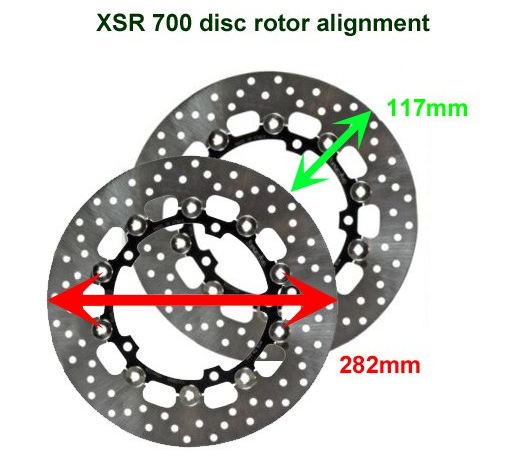 As mentioned above; you’ll need to consider disc rotor ø and offset, as well as fender and caliper clearances. It helps to choose a wheel from the same era.The best thing with this option you get to retain tubelessness. Option 1 is easy, but how many road bikes come with spoke wheels these days? 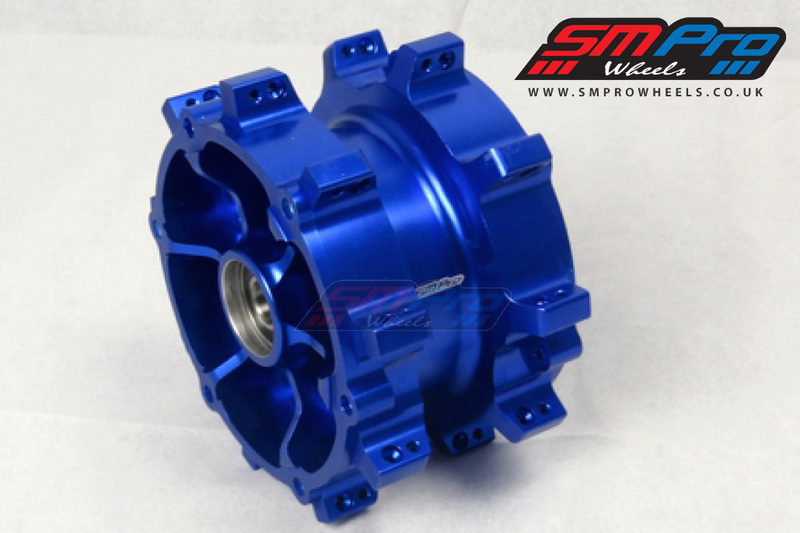 Cast wheels are cheaper to make and are often lighter too. 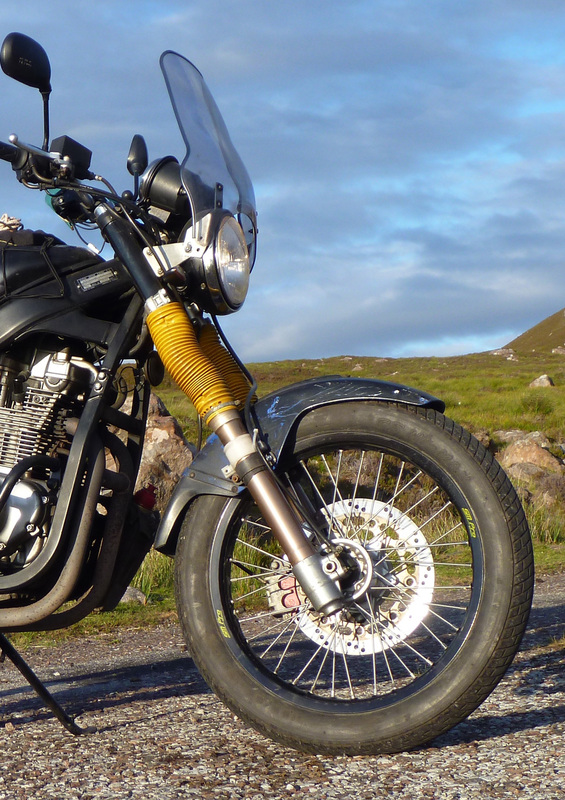 Option 2; besides Borrani, custom builders have adapted XT1200Z Super Tenere hubs to fit the XSR. An OE hub only costs £150, but the discs are 135mm apart which greatly complicates caliper alignment (wider triple clamps?). 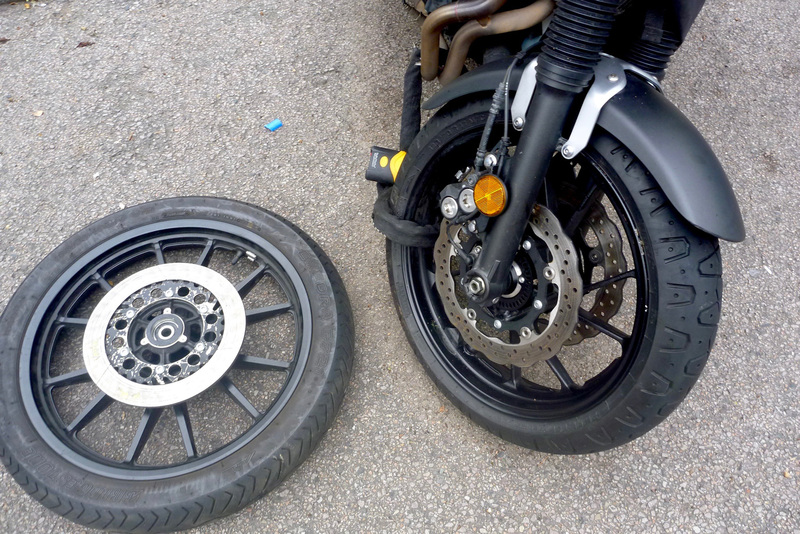 The XT660Z Tenere hub (left) is a better contender: less rare used, and with rotors 107mm apart, so 5mm of disc-out, or caliper-in spacing needed to match the XSR – easily done. 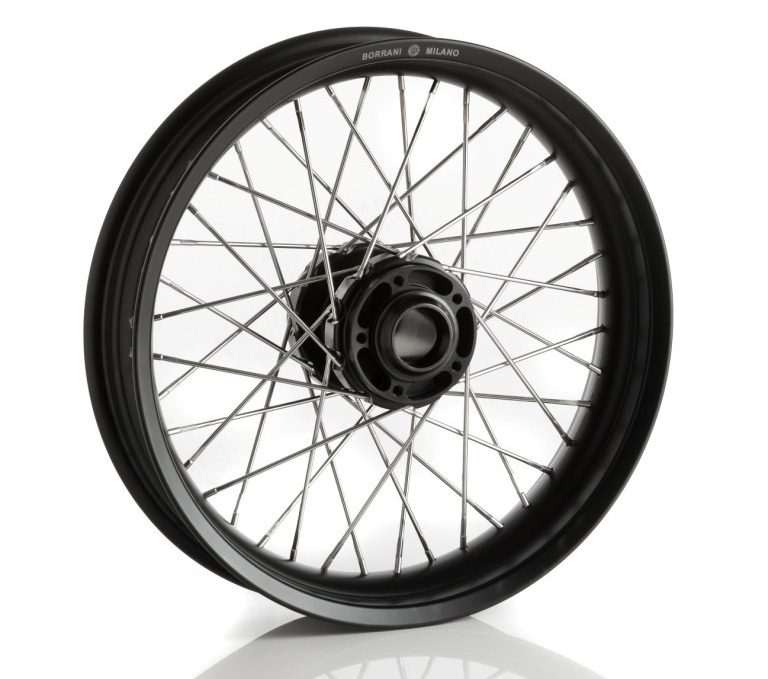 OE hubs are £180 new, or SMPro do one for £228 (above right). 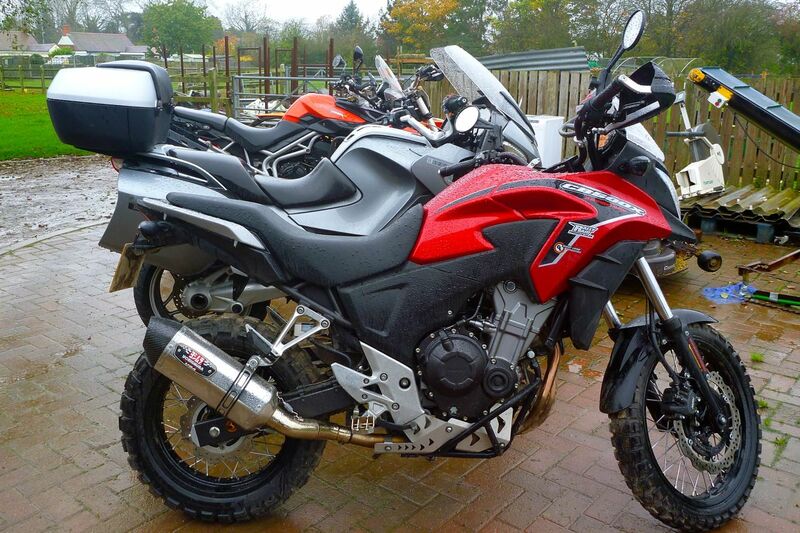 If Option 5 (below) hadn’t worked out for me, a Tenere hub is what I’d have pursued. Don’t forget, you need to factor in disc rotors if not included, spacers and wheel bearings, plus the cost of lacing up a rim – and then (assuming it’s a tubeless safety rim) sealing it off to make it tubeless. There’s a whole page on that topic. Option 3 is my second stage plan if the XSrambleR proves itself. I’ve given up trying to get Option 4 done, so Option 5 it is then! 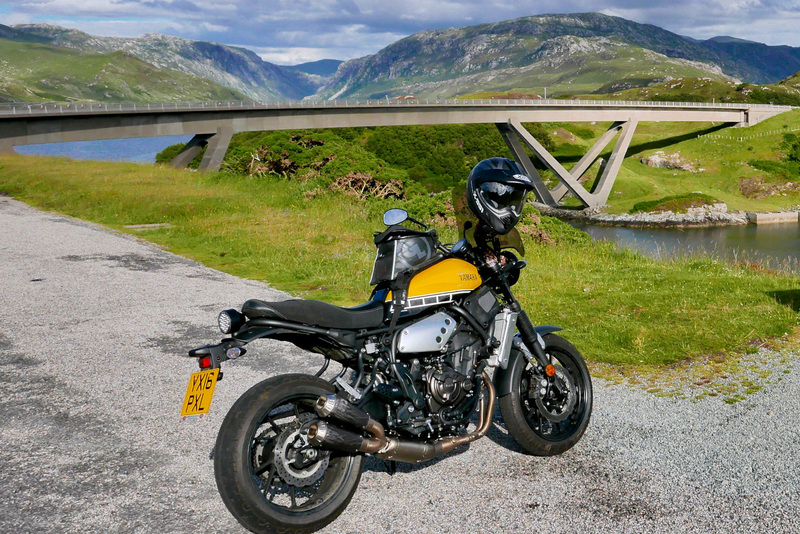 This entry was posted in AMH News, Project Bikes, Project XScrambleR 700 and tagged 19-inch front wheel, borrani, changing motorcycle wheel sizes, kimeo, motorcycle wheel conversions. Bookmark the permalink.